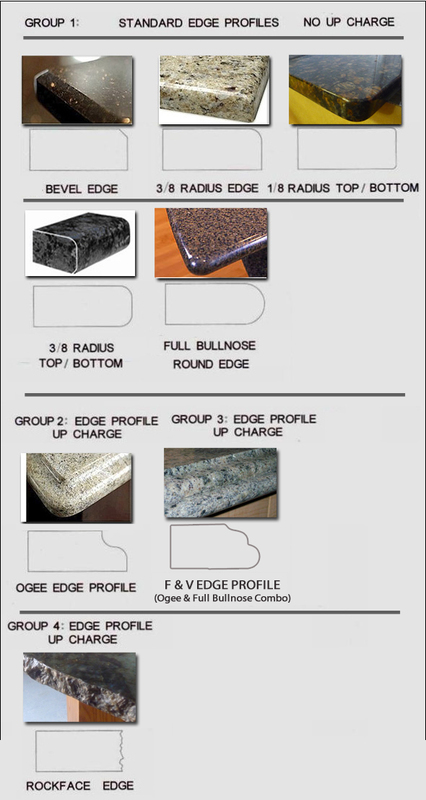 Below are the edge profiles we offer. The Group 1 profiles are all included in our standard pricing. The Group 2-4 profiles have up-charges associated with them.